Alice Curtayne - PB 176 page - 5.5" x8.5"
Saints have over the years inspired many tales that go beyond what we know about them. These pious fictions are delightful and can even be instructive, for the lovely legends of the saints that have come down to us reflect not only the holiness but also the gaiety of the saints. These Irish legends are in that tradition. Patrick, Brigid, Columcille — “the three brightest jewels in Ireland’s crown” — are here, and Canice, Finbarr, Cormac, Finnian, Brendan, Gall, and others. Here’s the moving story of what happened when Patrick baptized the daughters of the King of Connaught and the shocking tale of the spike that pierced Aengus, the courageous Prince of Munster, just as Patrick baptized him. You’ll read about the spilled jar of milk that led Adamnan to become the Abbot of Iona; how Colman’s alarm clocks (a mouse and a rooster) took turns waking him; and a dozen or so other charming tales. 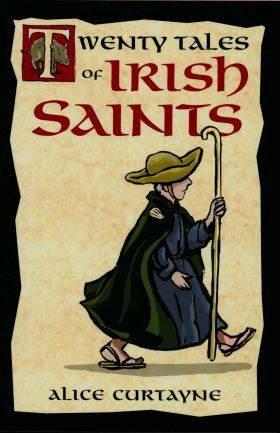 Alice Curtayne brings to these legends of Irish saints a rich grasp and a deep love of the Catholic faith of her native Ireland. She has unerringly chosen stories which will appeal to readers young and old, and she tells them with the poetry and feeling that mark the work of every true Irish storyteller.